A minibus carrying foreign reporters and members of an anti-torture NGO to the southern Russian republic of Chechnya was reportedly assaulted by a group of armed men in nearby Ingushetia, leaving several activists injured. Police are investigating the attack. Initial media reports based on law enforcement sources suggest that, on Wednesday night, some 20 men assaulted a vehicle used by “Committee for Prevention of Torture,” a Russian non-governmental organization also known as “No Torture.” The attack reportedly took place on a highway not far from the Chechen Republic border, which was the group’s destination. “A group of journalists and human rights activists was heading for Chechnya, also in the North Caucasus, in a Ford car. About 20 people attacked them near the Ordzhonikidzovskaya settlement on the Kavkaz federal highway. They confiscated the mobile phones [from the journalists and human rights activists], set their Ford car on fire, and drove away,” a local law enforcement source said, as cited by TASS. As a result of an attack, four victims were hospitalized at the Sunzha district hospital, according to medical sources. Two journalists, one Swedish and another Norwegian, are reportedly among the injured. The attack on the vehicle has been confirmed by local police, and local Interior Minister Aleksandr Trofimov has arrived at the scene to oversee the investigation. Police are considering launching a criminal over charges of hooliganism, intentional destruction of property, and damage of property. 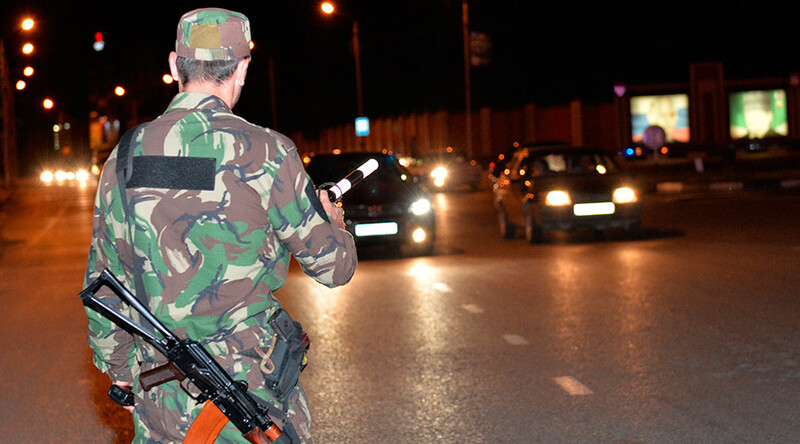 “Unidentified persons stopped a minibus in the outskirts of the town of Sunzha on the 595th kilometer of the Kavkaz federal highway and attacked the passengers,” Ingushetia’s interior ministry said in a statement. The NGO listed the names of those who were in the attacked bus on its Facebook page. It includes Swedish and Norwegian journalists, six Russian human rights activists, and a driver. The foreign journalists have been identified as a Swedish Radio’s Moscow correspondent Maria Persson-Löfgren and Norwegian reporter Oystein Windstad of the Oslo daily Ny Tid. Both journalists were hospitalized. The Committee for prevention of torture is a Russian non-governmental interregional organization founded in 2000 by a group of human rights activists. It focuses on the incidents of torture and abuse by carrying public investigations and representing the victims’ interests in courts. It also purports to assist the victims of ill-treatment with necessary medical rehabilitation.